When you’re outside a situation, it’s easy to see when actions are leading in a very bad direction. However, when you’re in the midst of those bad decisions, everything feels justified as a means to the end. 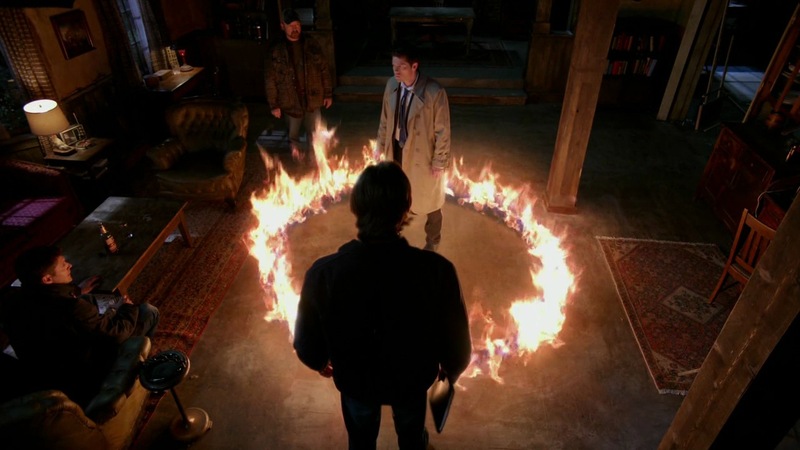 That’s what we’re beginning to get with Cas, as he tells his motivations for teaming up with Crowley in “The Man Who Would Be King.” It seems our favorite angel is just doing what he thinks is right, in order to help him win the ultimate battle. Sadly, I’m not so sure he’s going to come out the victor. The road to Hell is paved with good intentions. We learned that already with Sam and we’re learning it yet again with Cas. One thing that came out of this episode, for me, was that even though Cas told his side of the story, I feel no more sympathetic to his mission than I was prior. 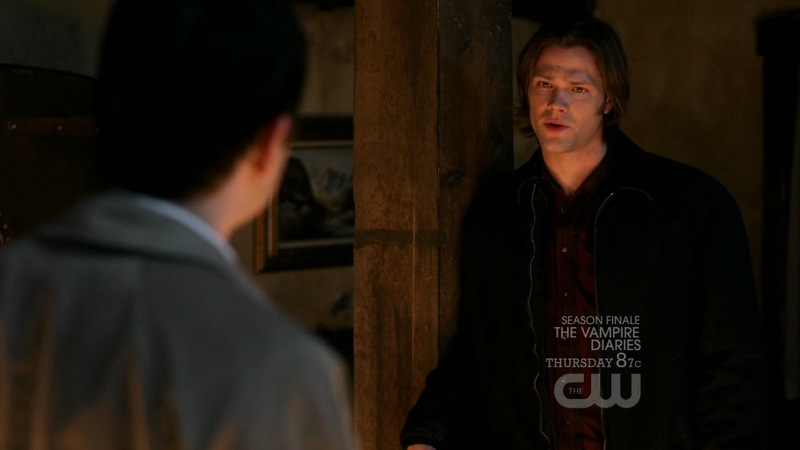 I already knew that Cas believes he’s on the mission of good, but as an outsider I have to side with the Winchesters. Dean, Sam, Bobby, and Cas are pretty much family and you don’t keep secrets like this from family, no matter how righteous you think you are. And you certainly don’t cast aside the only friends you have left. 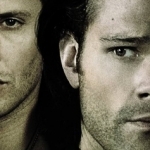 I get that Cas is an angel and as such he has more power than mortals can comprehend at times, but he’s also learned how to better relate to humans, especially the Winchesters, so to pretty much say their whole relationship doesn’t mean much when compared to his ultimate victory, it’s very sad to me. "You're just a man. I'm an angel." Dean and Cas share a special bond, per the angel’s own words, but Cas pretty much blew that to oblivion with one exchange. Bobby and Sam don’t want to believe Cas can be working with the bad guys, but they’re more open to the possibility. Dean holds on to Cas as a grounding in what’s right in the world and to have that foundation rocked by lies is not easy for him. He’d rather give Cas every benefit of the doubt before even contemplating that the angel is not all he’s cracked up to be. And he would have gone right on believing in Cas had the angel not fouled it up and revealed that he’s been listening in on them the whole time. Cas doesn’t understand your cultural references, so to randomly bring out Superman and Kryptonite as a joke, with no prompting, was a big mistake on his part. Dean’s face at the moment is just heart-breaking. He knows Cas screwed up and he also knows that Bobby and Sam might be onto something with their suspicions. And that’s when the holy fire came out. "I did it to protect you. I did it to protect all of you." 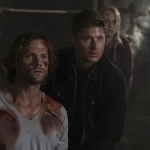 Sam’s confrontation over him being pulled from Hell was fantastic! Remember when Sam was standing under the street lamp and it flickered, causing us to wonder if Sam came back with angel or demon powers? No, no, there really was an angel present, lurking in the shadows and setting his whole plan into motion. I don’t believe that Cas accidentally left Sam’s soul behind when he pulled his body up from the cage. This entire season has been about the souls and Sam’s soul seems to be an important element in all of this. Cas has repeatedly not wanted Dean to put Sam’s soul back where it belongs, but it seemed like it was out of concern for Sam’s well-being. I think he’s lying, just as he’s been lying the whole time. He brought Sam back wrong and he knew he brought him back wrong because he saw it immediately. He’s seen Sam throughout his calculated ventures, but Cas never indicated that he knew Sam’s soul was missing. In all honesty, he should have known. I think he did know, but it wouldn’t fit into his plans to have the old Sammy back. Now all those plans are falling down around him and he’s slowly destroying every relationship he’s ever had in his march towards defeating Raphael. "Did you bring me back soulless on purpose?" 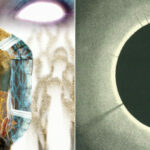 Let me bring up Crowley, since he’s the other half of this unholy alliance. I adore the King of Hell, always have. He knows what he is and he revels in it. 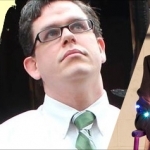 Crowley has planned out how he can climb the corporate ladder by leaps and bounds to rule the underworld. I love his version of Hell, too. Nobody likes waiting in line and that’s a great source of eternal misery for all the damned souls. 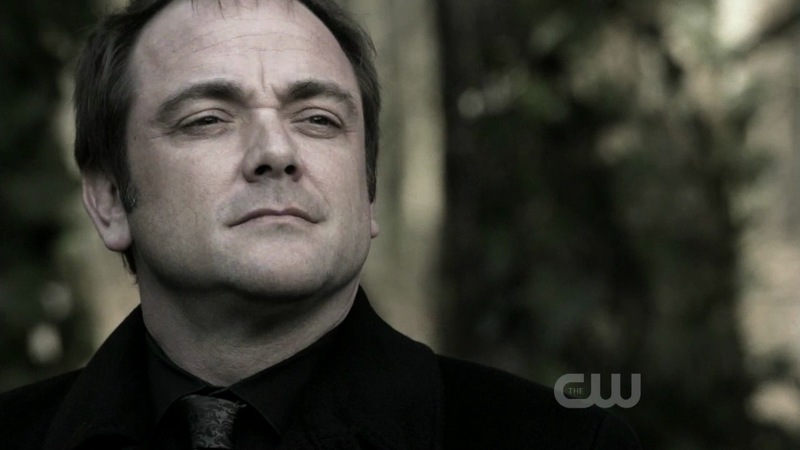 Crowley also doesn’t underestimate the Winchesters, like many have before him. He knows that the boys win, often against insurmountable odds, so he has every right to feel uneasy that Cas is seemingly protecting them until the ultimate battle can take place. I fear that he may not last through the finale, which is sad, but he would join a long line of powerful demons and angels alike who thought they’d come out on top, only to be felled by two brothers who saved the world with love. "Ah, Castiel, Angel of Thursday. Just not your day, is it?" 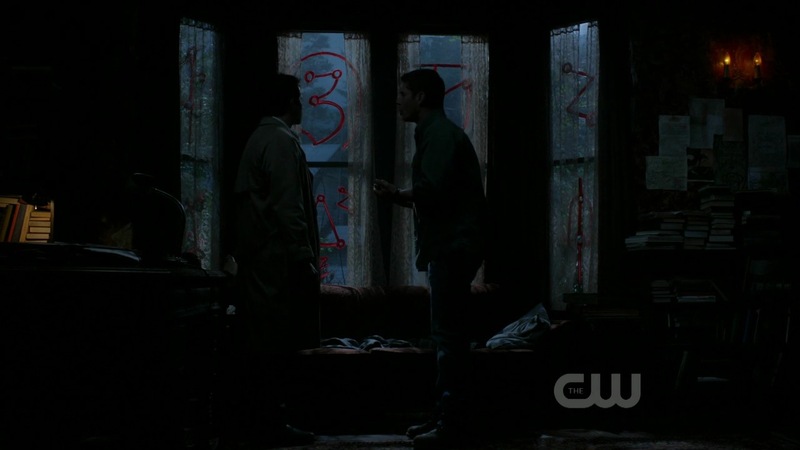 Ben Edlund wrote and directed this episode, a first for him on Supernatural. I felt like his directing was very well-done and, since he knew the script intimately, he knew what aspects to focus on while Cas told his story. In terms of writing, Edlund had a lot of information to give the audience, as Cas told his side of the story. I thought he handled it well, despite a few rough spots of flashbacks within flashbacks and the Cas voiceover telling us his innermost thoughts. I, like other writers, know the steadfast rule of “Show, Don’t Tell.” But all in all, as Edlund has given me some favorite episodes from the show, he didn’t disappoint me with this one either. Instead, he’s left me wondering how it will all play out. 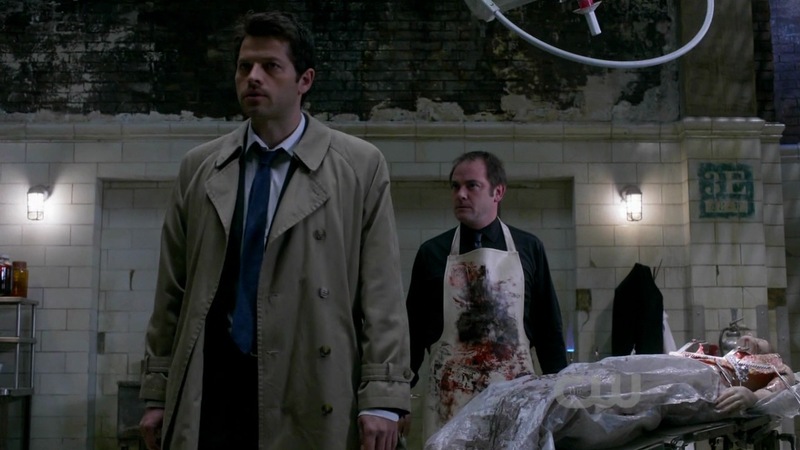 Will Cas ultimately fall and become human for his transgressions? Or will he go darkside and be an enemy of the Winchesters? We will have to wait until the finale to find out for sure.